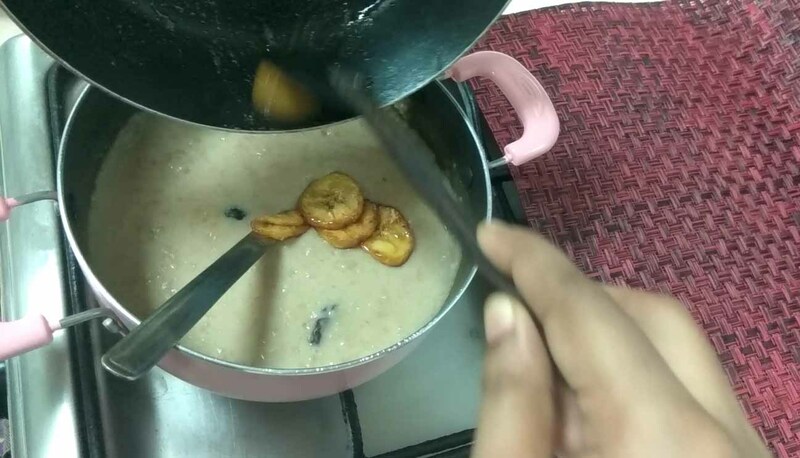 How about an oatmeal recipe which tastes awfully delicious? Change up your usual sweetener with this natural sweetener - Dates. 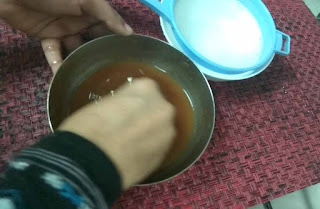 Dates are considered as one of the best natural sweeteners with massive health benefits. Eating one date per day is necessary for a balanced and healthy diet. Do you know the benefits of eating dates for breakfast? Dates act as the ideal morning vitamin and mineral supplement. It boosts brain activity and enhances concentration. 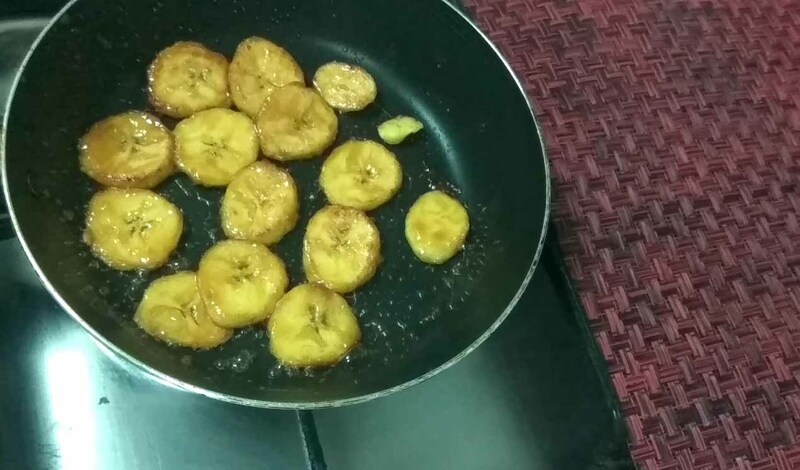 This fruit helps in lowering LDL cholesterol. Yes ..it is so boring to consume dates as it is in the early morning. 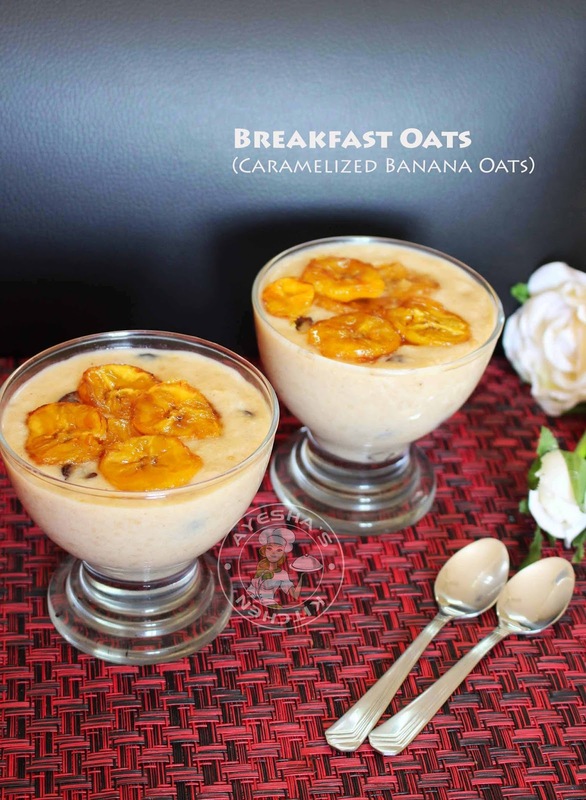 Ok..then try this scrumptious oatmeal that helps you to include dates in your breakfast meal. Like so it is insipid having sugarfree oatmeal for breakfast. Isn't it? 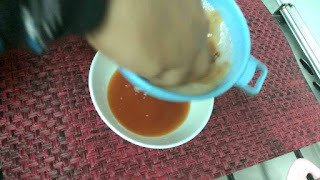 So adding this dates puree as a sweetener for your oats porridge will surely excite you much. 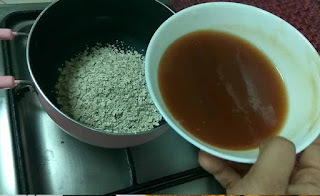 For those who want to less the belly fat and body fat, here is a simple tip. Try adding more dry fruits in your daily breakfast. In this oats porridge, i added dried cranberries which have been regarded as the weight loss food in cereals. Moreover, dried fruits are the excellent source of antioxidants. As cranberries are high in fiber and polyphenols, it contributes to weight reduction. 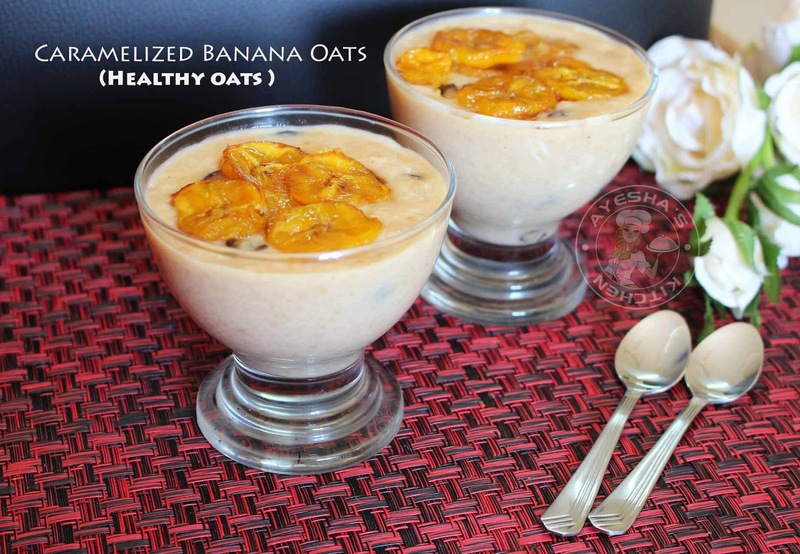 I prefer using skim milk or low-fat milk in this recipe for those who are more concerned about their diet. Finally about the addition of caramelized banana in this healthy oatmeal. 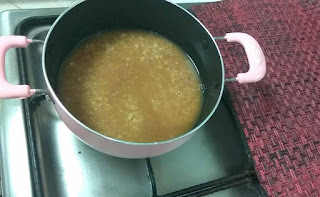 Here i used jaggery for caramelization which is surprisingly effective as an aid for weight loss. 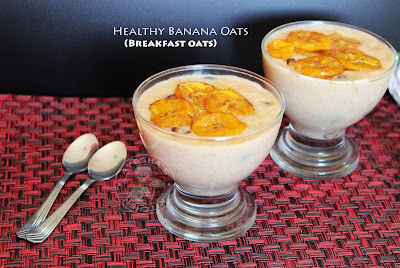 So have this yummy healthy oatmeal and enjoy. 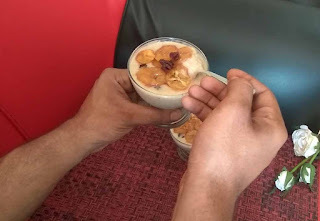 Here is the recipe showing how to make oats for breakfast/oatmeal recipe/oatmeal breakfast/healthy oat recipes/porridge oats/date smoothie/oats with dry fruits/dried fruit recipes/oats diet. Soak dates in a cup of drinking water overnight (u can also mash the dates lightly in hot water and use instantly without soaking). Then squeeze the dates well with hand and strain it through a strainer and get the puree. Now add the oats to a pan along with the dates puree. 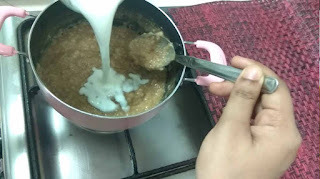 If the puree is so thick, then add half a cup of water required for cooking the oats. 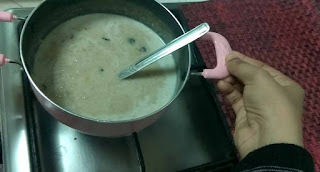 When the oats are done and become thick, add half a cup of milk, a pinch of salt to balance the taste and mix well (You can use skimmed milk or low-fat milk or soy milk ). 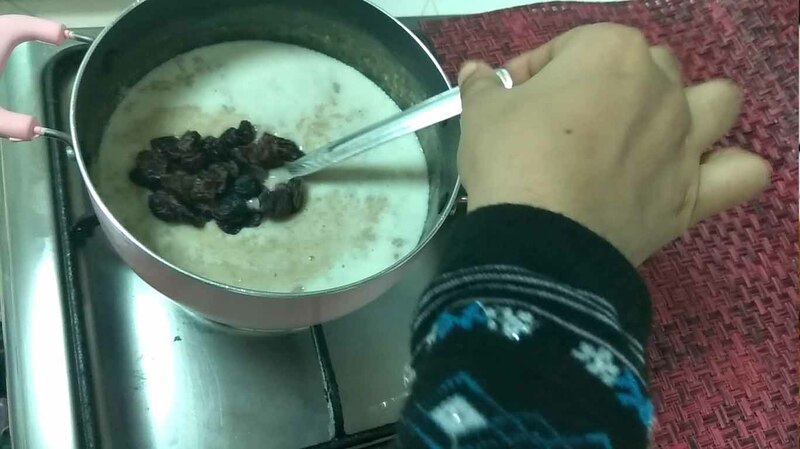 Let it boil and then add dried cranberries (u can add any dry fruits instead which helps to reduce the belly fat). 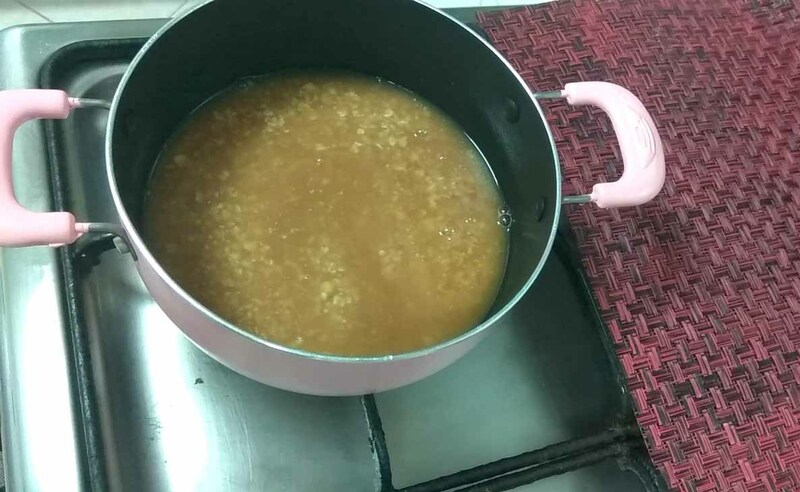 The prepared oats must not be too thick nor too thin. Set aside. 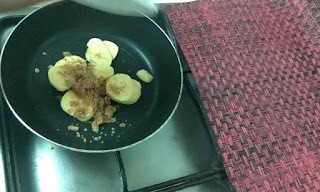 To another pan, add sliced banana (i used ripe plantain) along with jaggery (for caramelizing). Now heat the pan over a low flame and when the bananas turn golden remove from flame. Add it to the prepared oats and serve hot. A yummy, healthy, quick and diet oats is ready to serve for breakfast.